New technology and redesign continue to help build print and online strategy for Green Builder Media. 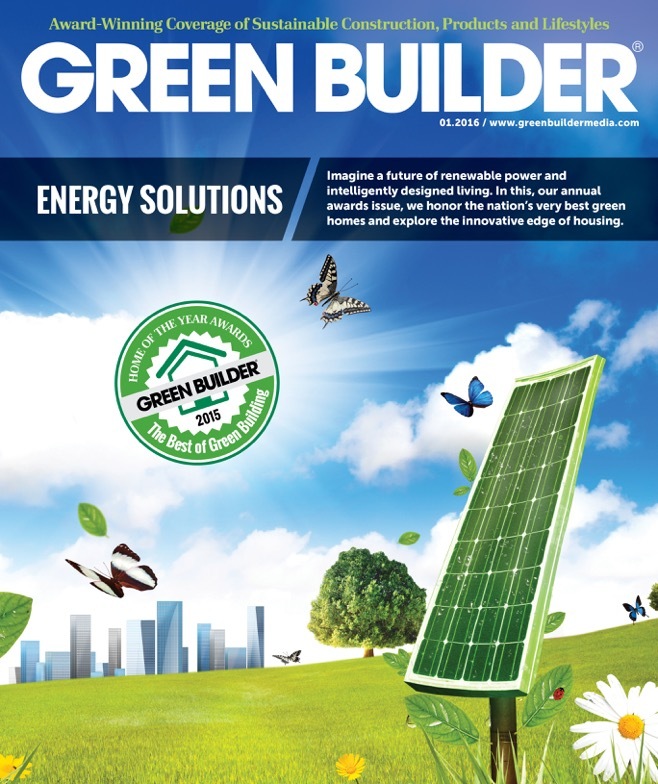 January 15, 2016 /3BL Media/ Inspired by the tremendous success of its online strategy over the past two years, Green Builder® Media has announced the redesign of their flagship magazine, Green Builder, with a new look that is a convergence of audiences and media types. Green Builder magazine began in 2005 with a builder-specific audience and has grown to serve both the professional audience and consumer audience. Utilizing cutting-edge technology, www.greenbuildermedia.com has developed into a resource that creates real insights on its readers to include predictive lead scoring and personas that reinforce which content and messages have the greatest success in promoting the company’s sustainability mission. The January 2016 issue will represent the first issue of the redesign and will include coverage on the Green Home of the Year Awards, Green Builder Media’s yearly awards program recognizing the best in sustainable building.